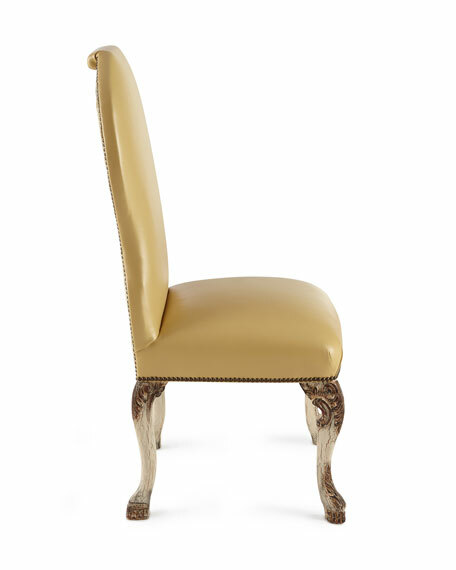 Handcrafted side chair. 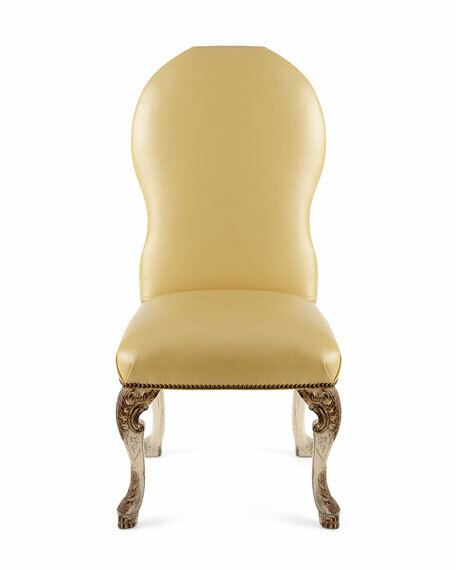 Design inspired by classic Louis XVI chairs of the French late 1700s. Beech frame with fluted legs and carved seat and back rail. Hand-painted finish. Print cotton/linen and solid polyester/cotton upholstery. 22"W x 24.5"D x 39"T. Imported. Boxed weight, approximately 45 lbs. 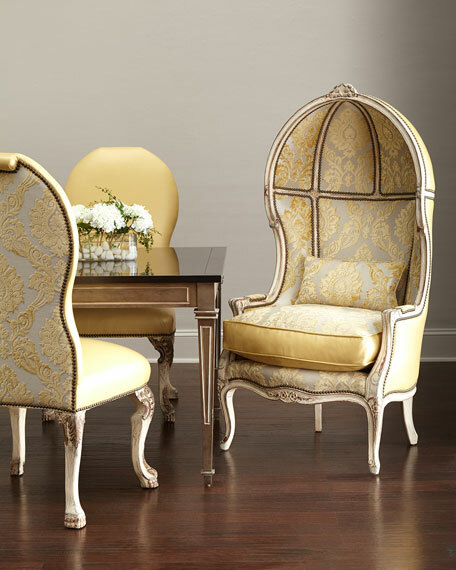 Set of two handcrafted dining chairs. Walnut frame with raven finish. Detailed with in/out-back welt. Mortise and tenon construction. Overall, 20.5"W x 24"D x 38.5"T. Inner dimensions, 20.5"W x 19"D x 19.5"T. Upholstery: polyester. Imported. Boxed weight, approximately 55 lbs.